A good sale to Vietnam. 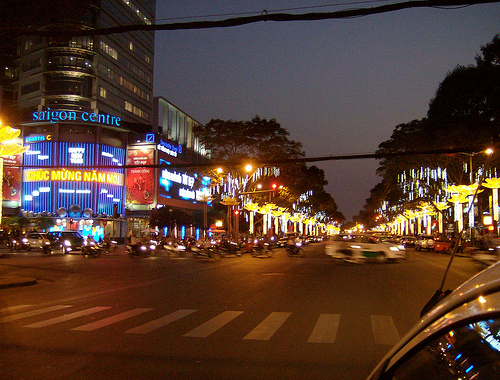 Use Ho Chi Minh City as a springboard to the rest of Vietnam. 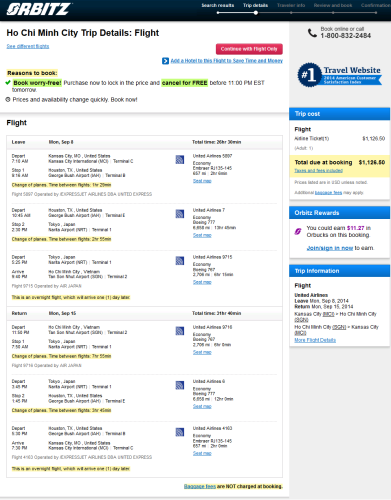 Use Skyscanner.net to search for low cost air carriers. Valid for travel from September – November. Must purchase at least 7 days in advance of departure. MCI – IAH (Houston) – NRT (Tokyo) – SGN (Ho Chi Minh City) – NRT – IAH – MCI. Some segment might be operated by All Nippon Airways under United code. 20,042 miles or 5.6 cents per mile.